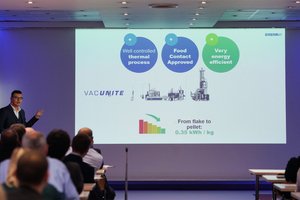 With the presentation of its newly developed VACUNITE technology yesterday at the PETnology conference in Paris/France, EREMA once again demonstrates its role as innovation leader. 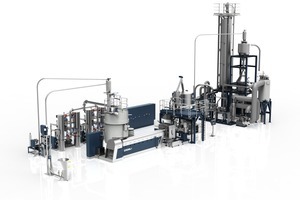 The Austrian producer of plastics recycling machines brings together its VACUREMA® bottle-to-bottle process with newly patented, vacuum-supported solid state polycondensation (SSP) from Polymetrix in this innovation. With VACUNITE EREMA expands its portfolio for PET recycling solutions. 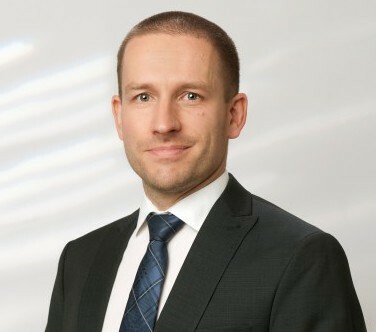 This technology is the answer to the challenges, which Christoph Wöss, EREMA Business Development Manager for the bottle sector, sums up as follows: „The growing commitment in society to handling plastics in a responsible way means that both political requirements and voluntary pledges of major beverage brands call for a significant increase in the amount of recyclate in end products. To fulfil these requirements, even more material in general and with varying quality due to different collection systems has to be recycled while, at the same time, the big brands are becoming even stricter with their requirements regarding the recyclates produced. 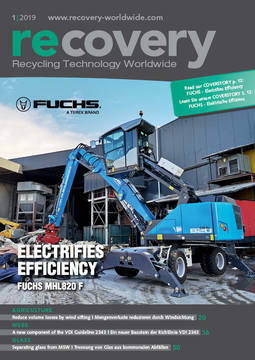 The focus of the next development of the PET recycling technology was on improving quality even further – which has been accomplished in impressive style. 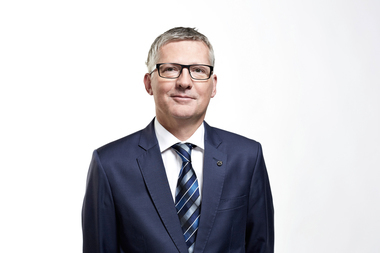 „Our new development brings together the best of what is technically possible,“ says a convinced Wöss. The process is based on the combination of proven VACUREMA® technology which has been enhanced for this application and the newly patented, vacuum-supported nitrogen SSP from Polymetrix. All thermal process stages take place in nitrogen atmosphere, largely eliminating flake and pellet discoloration and reliably removing additives which could lead to undesired reactions in the melt. 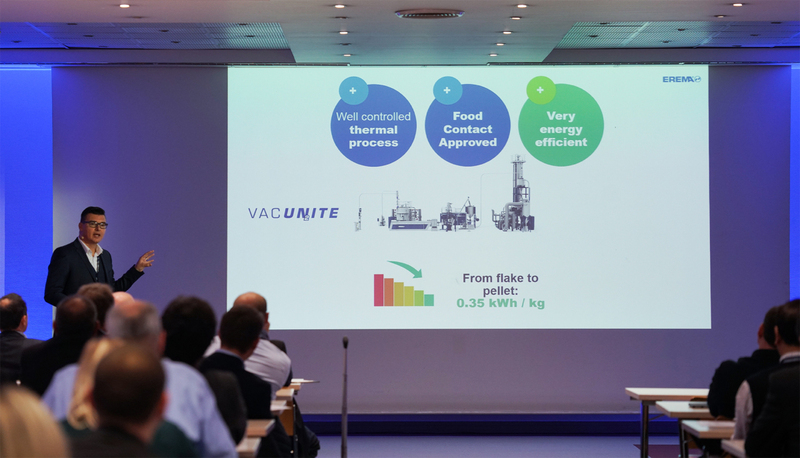 Another benefit of VACUNITE: the vacuum support cleans the nitrogen which means it can be returned to the previous processing stage and nitrogen consumption is reduced as a result. Any remaining dust particles are removed from the pellets before filling to avoid preform contamination. But VACUNITE is special not only because of the exceptional quality of the output material. 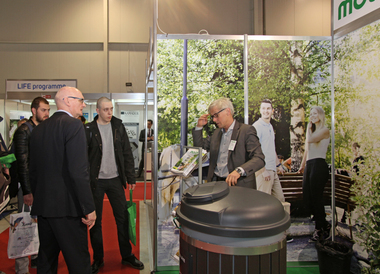 The recycling technology also stands out through its comparatively compact build, low energy consumption and, compared to vacuum SSP systems, considerably lower maintenance. Depending on machine type, 50 to 60 m² of floor space is sufficient for the SSP part. The height and substructure also have less impact on the dimensions of the plant building compared to other SSPs. The energy consumption of VACUNITE for the entire production process from the flake to the final pellets amounts to a mere 0.35 kWh/kg.